Each year, more and more bariatric surgery procedures are performed, and more and more doctors are offering gastric bypass surgery and the LAP-BAND® technique. With so many choices in Oakland and San Francisco for weight loss surgery, it can be difficult to find a doctor you can trust for your procedure. The fact is that you need to do your homework carefully before selecting a bariatric surgeon so that you can minimize your risk of complications and maximize your likelihood of seeing satisfying results. As a board-certified plastic surgeon performing post-bariatric cosmetic surgery, Dr. Thomas McNemar wants to help anyone considering massive weight loss to reach their goals. Starting off on the right foot by choosing a qualified bariatric surgeon will help you have a satisfying experience. For more information on bariatric surgeons near you, feel free to contact us online or call (925) 866-0177 in San Ramon or (209) 834-0626 in Tracy. Well before your surgery, devote plenty of time to finding a weight loss surgeon in San Francisco who makes you feel comfortable and deserves your trust. Here are just a few things to look for during consultations, but of course you should also carefully judge each surgeon on the criteria that are important to you as well. You need to find out how many years a surgeon has been performing bariatric procedures, the number of procedures they have performed while in private practice, and the types of methods they have used. For instance, a seasoned bariatric surgeon may have been performing gastric bypass for many years, but is just now beginning to perform LAP-BAND procedures. Find a surgeon who has specific experience in the technique you are considering. 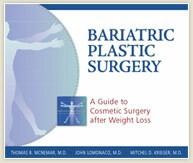 The American Society for Bariatric Surgery is the world's largest society of surgeons performing bariatric procedures. It is devoted to providing quality educational and other programs for surgeons and allied health professionals in the field of bariatrics. ASBS membership is an important aspect of any bariatric surgeon who is dedicated to this area of medicine, as the conferences and meetings of the ASBS are an excellent way for a surgeon to stay current on the changes in information and technique that are occurring rapidly in the field of bariatrics. Currently, there is no specific specialty board recognized by the American Board of Medical Specialties to certify doctors in bariatric surgery. However, for a U.S. surgeon to be a regular member of the American Society for Bariatric Surgery (ASBS), they need to be certified by the American Board of Surgery or the American Osteopathic Board of Surgery. Some bariatric surgeons have been certified by the American Board of Bariatric Medicine, but it is important to note that this organization is not recognized by the American Board of Medical Specialties. What is your experience performing the type of surgery I am considering? Where do you perform bariatric procedures? What is your patients' post-surgical complication rate? Can you put me in touch with prior patients who have had bariatric surgery? Do you work with other professionals who can evaluate and treat conditions commonly associated with obesity, such as diabetes, high blood pressure and sleep apnea? What other support services are you affiliated with (both other medical professionals and peer support)? Does your office and the facility in which you perform surgery have facilities to accommodate large patients? Do you work with primary care physicians to ensure overall healthcare concerns are addressed? How do you help patients get insurance coverage, and will you provide financing options for portions of the procedure not covered by insurance? Do you coordinate post-bariatric plastic surgery with a board-certified plastic surgeon nearby? The skill and experience of your surgeon can have an enormous impact on the quality of your results, but there are also many other important aspects you need to consider for your ultimate weight loss success. For instance, is the surgeon's anesthesiologist and nursing staff trained in the special needs of obese patients? Is the surgeon affiliated with a nutritionist or dietician who can provide counseling about healthy eating habits and choices? A significant part of your success involves feeling supported and having the right resources at your fingertips as you reshape your life. Dr. McNemar takes an interest in helping men and women find a lasting way to maintain a healthy weight and look their very best. He works closely with bariatric surgeons and weight loss specialists whose patients need post weight loss body contouring, including procedures such as abdominoplasty, breast lift, and facelift. If you are just getting started on your weight loss journey, he is happy to help point you in the right direction. Just call (925) 866-0177 for our San Ramon office or (209) 834-0626 for our Tracy office, or you can contact us online for more information on finding a bariatric surgeon.